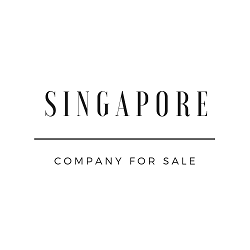 Singapore Secretary Services | Corporate Secretary by ACRA Filing Agent. The Standard Package is sufficient for most companies with regards to the essential requirements mandated by law. The Standard Package is for companies that require the most affordable solution available. Advisory on company matters is via email. Queries will be replied by the named secretary for your company or a representative from our company. The Standard Plus Package is sufficient for most companies with regards to the essential requirements mandated by law. The Standard Plus Package is for companies that require the most affordable solution available. Mail forwarding and mail collection services. Here are the steps to incorporate a Singapore Company. One time payment. Subsequent years you will be on the Standard Package at $480. The All-In-One Starter Package covers all the documents needed to start a new company. Assistance in opening a corporate bank account. Incorporate your local company within 1 hour. The All-In-One Starter Package is sufficient for most companies with regards to the essential requirements mandated by law. The All-In-One Starter package is for companies that require the most affordable solution with secretary services bundled together. One time payment. Subsequent years you will be on the Standard Plus Package at $560. The All-In-One Starter Plus Package covers all the documents needed to start a new company. The All-In-One Starter Plus Package is sufficient for most companies with regards to the essential requirements mandated by law. The All-In-One Starter Plus Package is for companies that require the most affordable solution with secretary services bundled together. In line with promoting a more transparent fee structure, this is our firm’s fees for non-routine services. We can arrange for a nominee director or nominee shareholder for clients who require such services. The prices range from SGD$100 onwards. Please contact us at [email protected]etaryservices.com with your requirements. Every company requires a corporate bank account. We can assist in the opening of the corporate bank account with the various banks in Singapore. The corporate bank account can be tailored to suit your company’s needs. Here is a comparison of the various Corporate Bank Accounts. My company is new and I am on a tight budget. Which plan should I take? You should sign up for the Standard Package as that covers just about all the requirements you need to fulfill as mandated to law. However, if you do not have a business address for your company, then you should take the Standard Package Plus. For an additional $80 per year, you will save on the need to pay monthly rent for your personal business space. I want to start a company. How can I start? You can engage Singapore Secretary Services to assist you in incorporating your company. You can sign up for the Starter Package and your company will be incorporated within 1 hour! Is there a need to hire a professional corporate secretary to handle my company matters? You can hire anyone to be the secretary of your company. It is mandated by law that every company needs to have an appointed within 6 months of incorporation. However, company matters may be complex and if they are not handled properly your company may be in breach of certain regulations. Singapore Secretary Services is a filing agent (FA) with filing agent number FA20170046 with ACRA. We have qualified individuals that are well versed in handling corporate matters. Having a competent corporate secretary may actually save you more money and problems. I am not a Singaporean. Can I incorporate a company and what are the costs involved? Foreigners can start companies in Singapore. The costs of incorporation do vary slightly. Once the company is incorporated, the cost of appointing Singapore Secretary Services for all your company matters is the same. You may send us an email at [email protected] with your requirements and we can advise you further. Do you do incorporation of offshore companies? For a full list of our articles and guides, please visit our resource page or blog. If you are looking for accounting and bookkeeping services or if you are looking to buy or sell companies visit our associate pages. We’re here to help answer your questions. Company secretarial matters can be complicated, but our experts are on hand to help inform you of every aspect regarding your topic. We take great pride in extending our expertise for you and look forward to hearing from you.